This week I decided to recommend the only pop culture Thanksgiving tradition that my family partakes in, besides the parade, every year: Arlo Guthrie’s “Alice’s Restaurant.” Technically, the song is called “Alice’s Restaurant Masacree,” but as we are told during the intro, Alice’s Restaurant isn’t the name of the restaurant, it’s just the name of the song. The song is really more like an 18 and a half minute monologue set to music, and tells the true story of what happened to Guthrie on Thanksgiving Day in 1965. The restaurant is also real, and is located in Great Barrington, Massachusetts. The song is actually a satirical, and probably exaggerated, account, of the Thanksgiving Day when Guthrie and a friend were arrested for illegally dumping some trash from Alice’s restaurant when they found out the town dump was closed for the holiday. They pled guilty to their charges and were fined. Guthrie closes the song by telling the live audience in the recording that if they are called up for the draft, they should simply sing a line of the chorus, “You can get anything you want at Alice’s Restaurant” and walk out of the examination to become a part of the Alice’s Restaurant Anti-Massacree Movement. I’m not sure why we listen to this song every Thanksgiving. Besides the start of the story taking place on Thanksgiving Day, it doesn’t have anything to do with the holiday. I know the family tradition started with my dad, and after doing some research for this recommendation, I found out a lot of radio stations still play it every Thanksgiving, so I suspect this is how it worked itself into our family. I always just assumed it was another weird song that not everyone listened to in their childhood (I’m looking at you, “Battle of New Orleans”). So check out Arlo Guthrie’s “Alice’s Restaurant” this week, and feel like part of the counterculture. Or just part of my wacky family. We’re trying something a little different this week, Kate and I are switching time slots to adjust for schedules. You’ll still be getting a TV recommendation, alongside a comic recommendation. 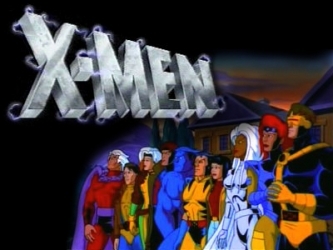 I can trace my love of comics back to one thing, the X-Men cartoon from the 90’s. That’s where it all started. Comics have been a big part of my life, super heroes in particular. They have brought me years of entertainment, and some life lessons too. For that I am thankful. Growing up I was an outsider, or I at least felt like I was. I had friends, but I always felt different or out of place. So seeing a group of individuals, like the X-Men, who were ostracized for being different rising above and standing up for those who hated them was actually really inspiring. The sense that there was a place for everyone was comforting. Of course at the age of 6 I didn’t get that was why I was connecting to these characters, but now I do. 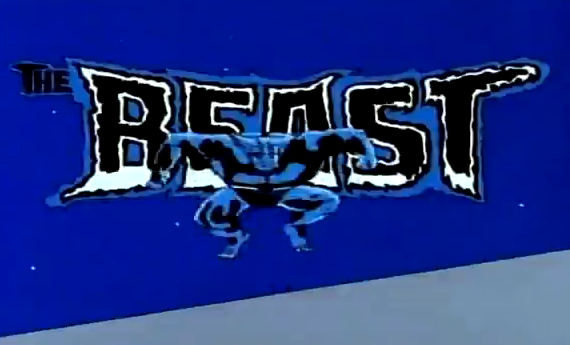 The fact that I always identified with Beast, my avatar picture, probably reflects my self-image a little too well. There is a reason so many people connect them to race and LGBT+ issues, although there has been some disagreement on this premise. The X-Men really work for anyone who felt like they were sidelined, targeted, or hated for any reason no matter how big or small, real or imagined. They are an underdog story, they are a moral of doing right for no recognition, and they are really inspirational. The show, along with other comic based TV shows, opened me up to comics, because apparently watching at least an episode a day on broadcast or VHS wasn’t enough. Comics have been a pretty constant part of my life since then. If not in print than on the big and small screens. I keep coming back to these characters time after time. It’s better than getting hooked on a TV series, at least these characters will come back in a few years. Well a lot of the super heroes will at least. The biggest chunk of comics I pick-up is the x-block. Unfortunately the X-Men books aren’t really stand out right now. They aren’t bad, and they all have their upsides. There are some shake up coming in the next few months that may breather some new life into them. While I’m talking about X related books, check out Storm, it’s a good book in threat of being canceled. This upcoming summer, as a part of Marvel’s Secret Wars, we will get to revisit the world of the X-Men cartoon in comic pages. When they made the announcement I squealed like a kid on Christmas. 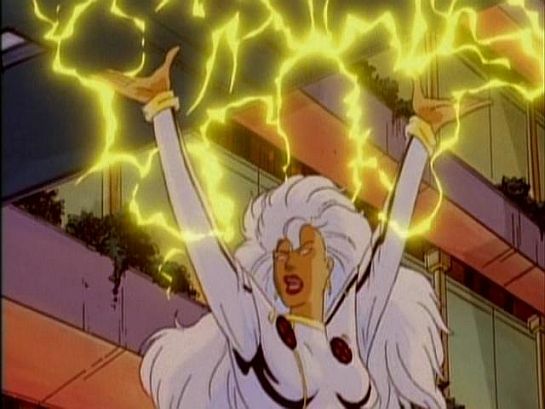 It’s been about two decades since I first saw Wolverine pop his claws, twenty years since I saw Storm take down a giant robot with a lightning bolt, and over two thirds of my life since Jubilee blew up that VCR. I still remember all of that, and more. It’s been a long ride since then, and a lot of comics, but how clearly I remember it says a lot about how much it mattered to me. It was a really important part of my childhood. So I’m thankful the cartoon led me to comics, and I’m thankful that world is coming back in the comics. Happy Thanksgiving! 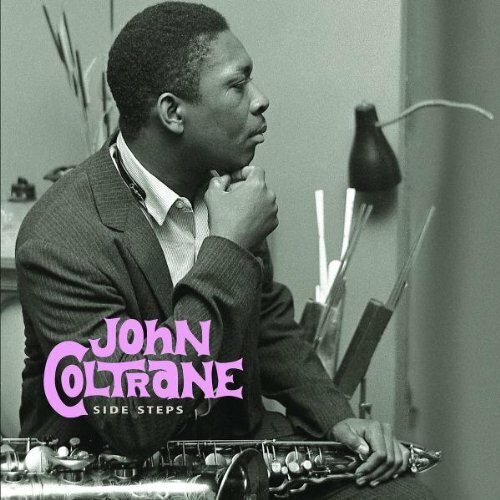 I am thankful for the John Coltrane Side Steps boxset. It gives me one of my favorite stories. I have a friend named Karuna. I met her at Santa Fe College here in Gainesville. She lives in New York City now and about a year ago she worked a gala event. She said she saw Spike Lee there and a bunch of other people whose names I’ve since forgotten. They had a table of free jazz CDs and she snagged this one for me. She told me she was going to mail it to me. That sounded awesome. I love Coltrane but his catalog is so large that i never really explore it and just wait for people to give me recommendations or just give me his music straight up. Now let’s think about this for a second. At the time, I only knew a couple of people in NYC. Karuna has never mailed me anything before or since. The one time that she mailed me something, she happened to be standing in front of someone else I knew. One of the only other people of the millions in New York City who knew me. And they happened to be in the same post office of the however many there are in NYC at the same time. On the same day. NEXT TO EACH OTHER. Let’s think about the chances of that happening. I WISH I had bought a lottery ticket that day because that was like a one in a billion chance! So a few days later, I got my CD box set, to which I will admit to still not having listened to all of, but more importantly, I got a great story out of it. And that’s why I’m thankful for John Coltrane’s Side Steps. 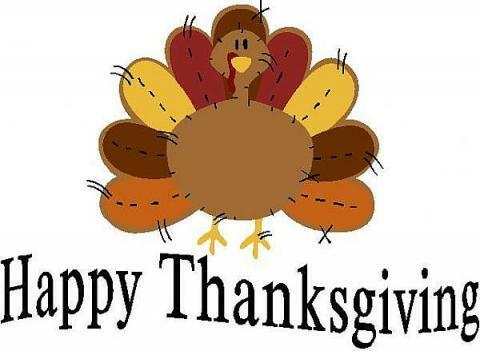 Theme for the week of 11/24/14: Thanksgiving! We’re giving thanks this week, along with the rest of the United States! 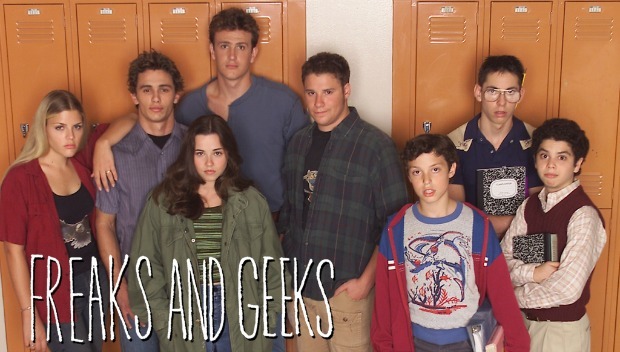 Freaks and Geeks is yet another favorite show of mine cancelled in its prime. It was cut after one season, but has a following that could have justified a recommendation during our cult classics week. I kept hearing about it and seeing it on Netflix, and had no idea it had been cancelled so soon. When I finally started watching it, I fell in love and couldn’t wait to get to the second season, only to be disappointed. I’m saving you all from a similar fate now: there’s only one season. One amazing season. Episode 10. Probably my favorite episode of anything ever. The satisfying thing about this show is that it served as the first major role for a lot of actors who have since made it big. James Franco, Seth Rogen, Jason Segel, Linda Cardellini, and Busy Phillips all went on to notable fame after the show, not to mention showrunners Paul Feig and Judd Apatow. 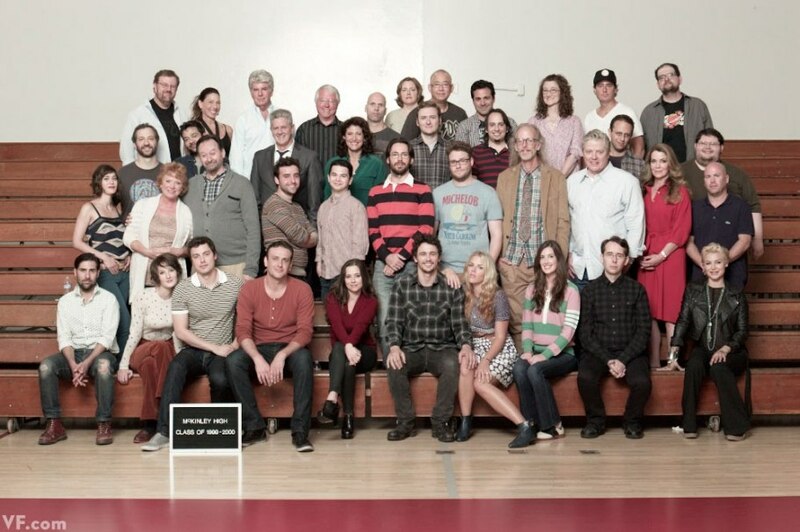 Freaks and Geeks cast reunion. The show’s one season ran in 1999 and followed two siblings, Sam and Lindsay Weir, and their respective groups of friends in high school in the early 80’s. 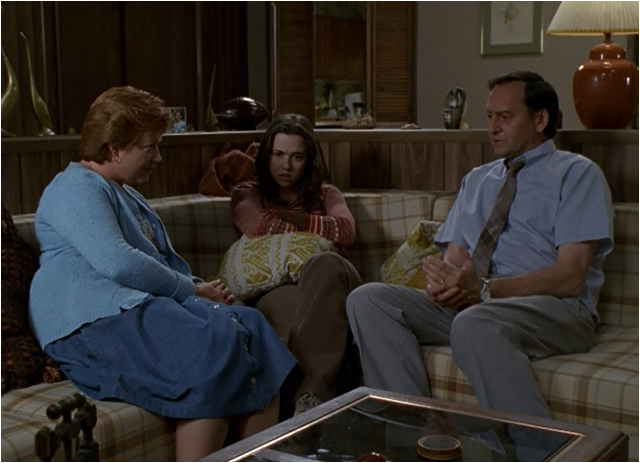 Most think of the show as a high school comedy, and it definitely is, but one of the things I love about the show is the 3-dimensional portrayal of Sam and Lindsay’s parents, and the dynamic between the siblings as members of their nuclear family while also operating as members of their “chosen family” groups of friends. 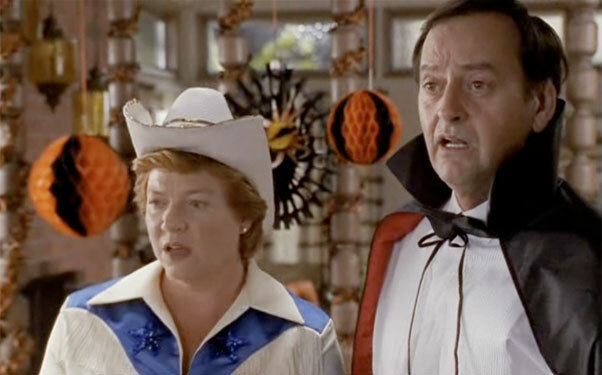 Sam and Lindsay’s parents, Harold and Jean, are not left out of the cast of characters who go through a pretty dramatic character arc over the course of the show’s single season. They start out as the typical parents in a high school comedy: tragically old-fashioned, out of touch, and totally square. Maybe I love their arc so much because I didn’t see it coming, but when I began watching the show I didn’t expect very much out of them. I assumed they’d be obstacles for Sam and Lindsay to contend with as the show went on, and not much more. I was impressed with the way the show made use of them as fully functioning and completely dynamic characters with the ability to grow along with the main characters. It’s one of the things that makes the show more than just a teen dramedy about high school. 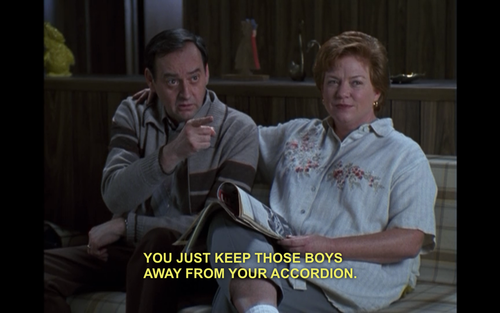 We eventually see a lot from the perspective of Mr. & Mrs. Weir, which adds a lot of maturity and reflection to the show, as if we’re truly watching the events in hindsight rather than from the short-sighted perspective of the teenaged characters. I also love the portrayal of the sibling relationship between Sam and Lindsay. It’s one of the things that really kills me about the series’ abrupt end, because I think this is one of the relationships on the show that would have been great to watch develop over time. Lindsay is breaking out of her dorky, mathlete role and making friends with a rougher crowd at school, and Sam is contending with starting high school as part of the same group of sci-fi nerds to which he’s always belonged. Sam ends up taking a lot of crap from Lindsay, as a younger brother and as part of the identity she’s trying to shed. By the end of the season, Lindsay is just beginning to realize that Sam doesn’t have to be something that keeps her stuck in her old mathlete world, and it would have been good to see her treat him a little better if the show had been able to continue. I also feel like the focus of the show might have shifted onto Sam a little more as he got older, which would have made his character a little more interesting. I love him, but I did get tired of feeling sorry for him by the end of the show. I couldn’t decide which pictures to include of Jean and Harold so I included them all at the expense of posting any pictures of Lindsay. Not sorry. 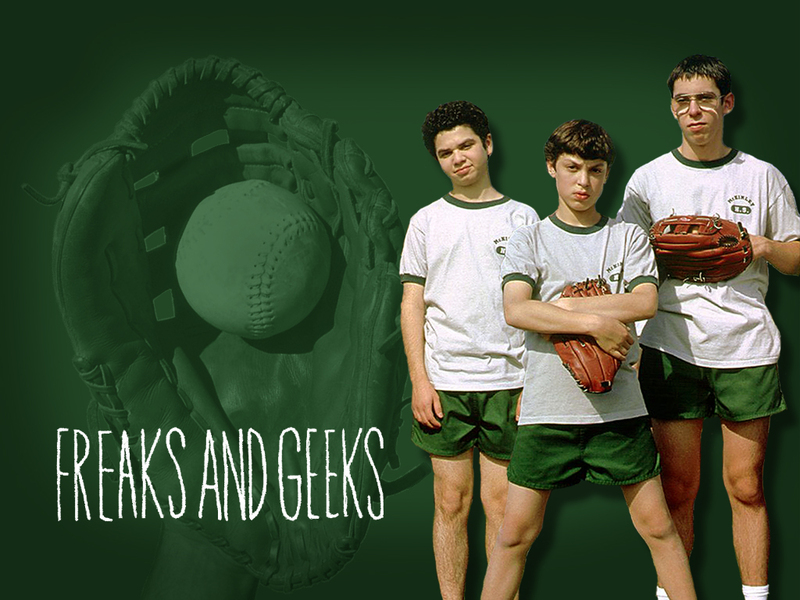 All in all, I love the family dynamic portrayed in Freaks & Geeks, and since I didn’t get to recommend anything for our underdog theme, I present this as a consolation. Practically every character in this show, including the show itself, is an underdog. It’s an underdog show about underdogs that features a great portrayal of parents, marriage, and sibling relationships. So check it out on Netflix. When I got this week’s assignment my first thought was that all comic book parents are dead. Except in Saga, but I already wrote about that. Ok there are parents in comics, but it’s true unless it happens to be a focus of the plot most characters don’t have parents for one reason or another. Also very few characters have kids, they tend to look negligent unless the kids are actually part of the story we focus on. So I decided to look at a book that not only has parents, but has them in spades. Teenage Mutant Ninja Turtles from IDW features a shocking amount parents for a book about four mutated turtles, but not all of them are good parents. There have been so many different takes on the origins of this group, so I’m not sure if the IDW origin has been used before. The simple form of it goes the turtles and splinter are the reincarnations of a family whose mother/wife was killed by Shredder. Meanwhile Shredder gets revived by his granddaughter Karai. 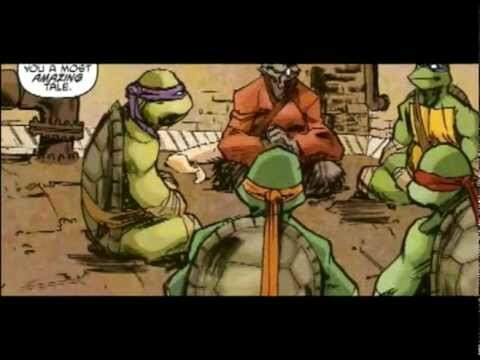 So here Splinter isn’t just an adopted father to the turtles, but the reincarnation of their actual father. April O’Niel’s father was part of the creation of the famous ooze. And Casey Jones’ father is a member of the Foot Clan. Even Nobody, a reimaging of another character from older versions of the book, has a father in the supporting cast. I’m not sure if it’s fitting or ironic that a book designed to be commentary on the super hero genre has so many parents. 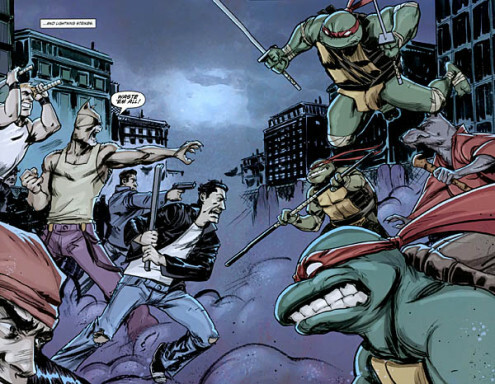 Original Ninja Turtles creator Kevin Eastman works on both story and art for the book, with Tom Waltz as the other writer. The story since I’ve been reading the book, circa issue 29, has used themes of family and legacy a lot. Whether it’s testing the bonds of the turtle family, confronting evil parents, seeing visions of a dead mother, continuing a parent’s life’s work, or revenge for lost loved ones; family, especially parents, is front and center through the story. One big plot lines of the book is an ongoing feud between Shredder and Splinter that has now wrangled in the turtles and Shredder’s granddaughter, and spanned two life times for the turtles and Splinter. The feud is so all consuming that Splinter won’t even consider dropping it for a much greater threat to the world, much to Donatello’s frustration. And so the children inherit the sins of their fathers, or grandfathers as the case may be. The art has its own unique style despite the changes in artists, three in the ten issues I’ve read. I never even noticed the artists changed before checking who to credit. Kevin Eastman however continues his work on the book, but I think he mainly focuses on the panel layout. The art is a simple mostly realistic take on anatomy, except some of the mutants who’s base animal aren’t entirely anatomically reconcilable with humans. But the character design are very nice and sleek. One new character is a hermit crab using a dumpster for a shell, which is really ingenious to me for some reason. The colors tend to be dark and moody, especially in New York, they were a brighter for the arc in North Hampton but not by much. It’s a clear indication that despite the moments of humor, this is not Ninja Turtles from the 80’s cartoon show. It’s not all dark though. Teenage Mutant Ninja Turtles is a very good book, but do be warned it’s closer to the original comic book that the various TV adaptations. Fitting given the involvement of one of the original creators. There are so many variations on what it means to be family, and what impact they can have on us, and this book explores a lot of them. It also gives us a very good story along way. Go ahead and check it out, you won’t be disappointed. Man oh man, I wish I had not written about Cloud Cult’s You Were Born a couple of weeks ago. I’d be writing an entire post about what that song means to me, as a parent. So if you haven’t heard it, go listen to it. It encapsulates my parenting philosophy. So instead, I feel like writing about a handful of songs that demonstrate different parenting styles/philosophies. First, the nihilistic view! Richard & Linda Thompson, a couple of the elder statesmen of British folk songwriting, released the album I Want To See The Bright Lights Tonight in 1974 and the final track, The End of the Rainbow, is easily the bleakest view on parenting I’ve ever heard and probably one of the saddest songs I’ve come across, period. Art expressing the belief that life is meaningless is nothing new. What sets this song apart from most nihilistic works I come across is that the song is, essentially, a father’s letter to his newborn child, expressing to an innocent baby that “Life seems so rosy in the cradle, but I’ll be a friend I’ll tell you what’s in store. There’s nothing at the end of the rainbow. There’s nothing to grow up for anymore.” And this is one of the lighter lines of the song. Nihilism, at least when I come across it, is typically expressed by adults to adults, not so often by adults to babies. What this song expresses to me as a parenting philosophy is that of a parent who just doesn’t have the capacity to care for a child the way that they need to be cared for. A parent who feels that life is meaningless, and for whatever reason, can’t be bothered to grow through that mindset and give his child a better life. Rather, he projects his philosophy onto his child, virtually guaranteeing it a painful adolescence. There are parents out there that treat their children this way, for sure, it’s just rare that you hear it expressed so candidly. And again, there’s something about the bond between a parent and a baby that is broken when the parent expresses these feelings to their child. Perhaps this is why the effect of the lyrics is not simply thought-provoking, but chilling. Second, solidarity in parenting! Any parent will tell you, you see your own actions reflected right back at you in your children. You see them doing things that you did, learning life lessons and growing. All the while you want to protect them from hardships, but you know they have to deal with them.The overall feeling is “Everybody knows it hurts to grow up, but everybody does. The years go on and we’re still fighting it.” Ben Folds wrote Still Fighting It and released it on his first solo record, Rockin The Suburbs. He’s released a handful of songs to his children over the years, but Still Fighting It resonates the strongest with me. I see the song as a recognition, from a father to a son, of the fact that everything that the child has, the fortitude that the child has to deal with life and in a very real sense, a child’s physical relationship to the world is inherited in many ways from their parents, and sometimes we mess up, sometimes we can’t give the best to our child, but we can recognize that we do our best. We hope that we can equip our children to the best of our ability to deal with life and pray that they can manage at the end of the day. And one day, they may understand what it was for us to do this, but hey, they may not and that’s okay. Ultimately, the line that gets me every time is “And you’re so much like me. I’m sorry.” Every parent feels that way at some point. And then there’s the unfailingly loving parent, represented by Sara Groves’ “You Cannot Lose My Love”. Yes, I know that this is a song written to carry a double meaning, both parent-to-child and also God-to-man, as Groves is a “Christian songwriter,” but it’s one of the most nurturing songs I’ve heard from a parent to a child. It’s realistic in it’s portrayal of life but the mother here is never deterred in her love for her child. This is how I feel when I look at my daughter. When she was a newborn and I held her while she slept, looking at her closed eyes, this song that I had not heard in years flitted through my mind often. This is the kind of parent that most people try to be. 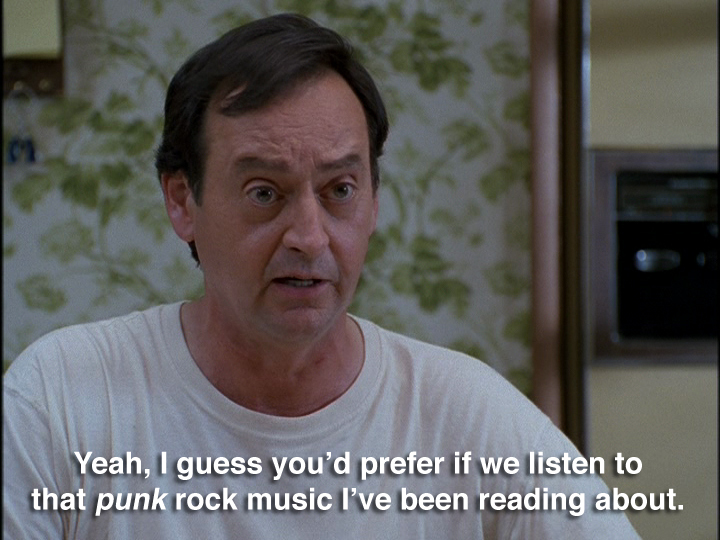 At least, I know I try to be this parent.